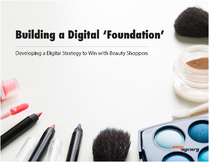 Learn how to build a strong digital foundation to capture beauty shoppers throughout the buying process. How to build a beauty brigade, use content as the new cosmetics counter, and answer your shopper's unmet beauty needs. Optimize your search and landing pages, while understanding when to insert your brand in timely conversations. Create a memorable experience both online and in-store.